Waiākea, founded in 2012, is the first Hawaiian volcanic water and triple bottom line premium water of its kind, adapting a supreme platform of healthy, sustainable, and ethical/charitable attributes and initiatives. The goal was to create a lifestyle brand that can inspire and make meaningful, positive change in a variety of ways. Another goal of the brand was to generate a transformation within the bottled water, beverage, and greater CPG industry, moving away from singular profit and towards a triple bottom line model that emphasizes people and planet. 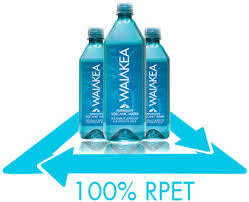 Waiākea prides itself on using a high-grade 100% RPET, or recycled polyethylene terephtalate, for all of its bottles. This ensures that it helps the environment while gaining its advantages. In comparison to regular or virgin plastic bottles, the 100% RPET bottles uses 85% less energy to manufacture, uses 90% less water and reduces carbon emissions over 90%.The company was recognized for its innovation and the brand was the most awarded beverage in Northern America. The Waiākea volcanic water comes from the Mauna Loa volcano as arctic moisture from trade winds converts to generous rain or snow as it hits their mountainous slopes. The water is then naturally filtered through thousands of feet of porous lava rock which enhances it with a unique blend of life-sustaining vitamins and minerals before it is finally emerging as tasty and clean Hawaiian volcanic mineral water. 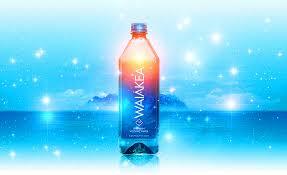 Waiākea’s slogan is “Drink Healthy, Drink Sustainably, Drink Ethically”. Would you support a great brand like Waiākea? To know more about the brand, you may visit their official website here. 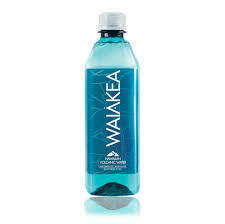 I have not heard of Waiākea water. It sounds very interesting especially that it is from Hawaiian Volcanic water sounds very interesting. I haven’t heard of this water, but it sounds like it’s better quality than several I have seen. I do love a good water daily. I have never heard of volcanic water but now I am curious! This is the first time hearing about this brand of water. I would definitely switch brands if it was available here. 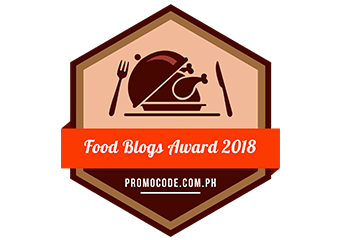 Any product that is more sustainable gets my vote! This is my first time hearing this. Looks like a great product. I’ve never tried Volcanic water. Is it really good? I want to try this. Though this is the first time that I saw a volcanic water, I am definetely down to trying it! I’m not normally a huge fan of expensive bottled water but this brand sounds nice. I would love to see where it is sourced from . . . I’m sure it’s beautiful! I never knew you could get water from volcanos. Interesting fact and would love to taste this for myself. I have never heard of this water before. It looks like something I would really want to give a try. I have never heard or seen anything like this. I am glad they used the right resources and make it environmentally friendly. It would be cool to have a taste but I don’t think they will import it all the way to Canada. I haven’t heard of this water before! It sounds like very helpful. I am a water lover. Probably need to try it. I haven’t heard of this brand before but I love the idea of this, I love that it isn’t just focusing on making money but actually cares about the environment which I think every brand needs to know. Water from volcanos I have never heard of before, but not surprised about. I bet its fresh as anything. I like the bottle design too. I love hearing that this brand uses recycled plastic for their bottles. Not wanting to make waste is my number 1 reason for not drinking bottled water, but I’d be ok with this. Oh, first time to hear this one. A good innovation.That’s a plus that it uses less energy for the manufacturer and an environment friendly, I hope it’s not that expensive. Sounds like an amazing brand of water that’s worth trying. I love how it’s naturally enhanced with nutrients. Definitely something to look into. I’ve heard so much about this Volcanic water My friend is fascinated about this and I am curious about it so I want to try this. I’ve never heard of this brand before, and that’s saying a lot because my husband is a water aficionado. The process of filtering through the lava seems very thorough. It make sense that the lava rocks would give many minerals to the water. I’ve never heard of this water before, I’ve never even heard or tried volcano water. I definitely would loooove to try it! I hadn’t heard of this water before, but you’ve certainly inspired me to drink some! Who doesn’t want some volcanic water? Wow I love hearing when a brand is moving towards more eco and sustainable practices. It’s amazing the carbon emissions they’re reducing too. I am amazed this is coming from Hawaii be they are surrounded by nature & have a lot of conservation efforts along with a #plasticfree campaign. There is over 8 million metric tons of plastic waste in our ocean. Sea birds often eat the bottle caps because they mistake them for food. You can help reduce the amount of plastic in our oceans by simply passing on the luxury of drinking volcano water. It all starts with us as individuals making responsible decisions.